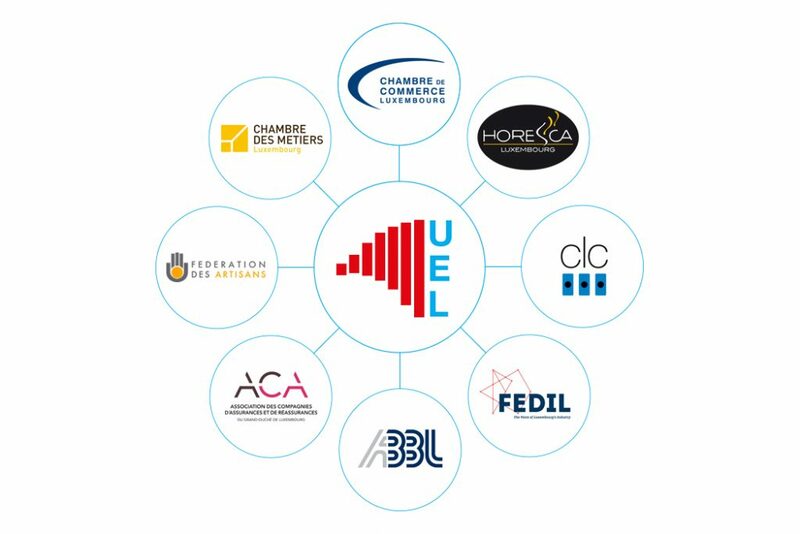 UEL represents the Luxembourg private-sector businesses except for the primary sector and includes the Grand Duchy’s professional chambers and employer federations. Because its members are responsible for 80% of jobs and produce 85% of GDP, UEL wants to put business and business issues at the core of Luxembourg society. UEL promotes a sustainable, prosperous economy for the country, its inhabitants and the people who work there. It takes action for an economy that attracts investors and talent. To accomplish its mission, UEL facilitates working groups and discussions with its member organisations on major inter-branch topics. It is thereby able to present joint positions to the public authorities and social partners on these topics which they can then review together. The initiatives launched by UEL are based on the values of the social market economy, sustainable development, business ethics, good governance and dialogue. In 2007, UEL founded the INDR, l’Institut National pour le Développement durable et la Responsabilité sociale des entreprises (National Institute for Sustainable Development and Corporate Social Responsibility) whose mission is to promote corporate social responsibility (CSR) within Luxembourg businesses in order that they contribute to sustainable development.